Includes (45) 2.6 watt, 91 delivered lumen (4113 total delivered lumens), 2700K, LED modules. 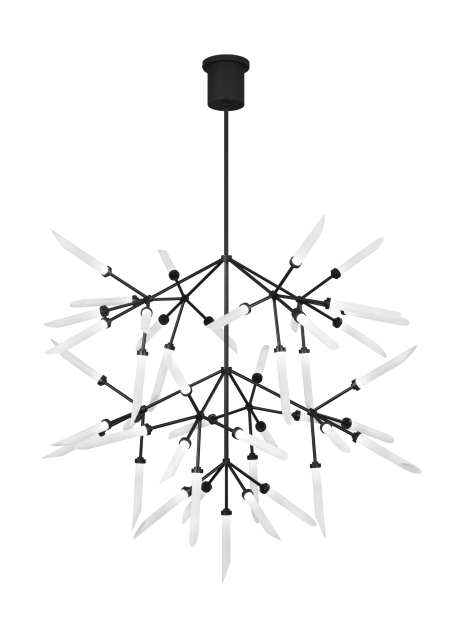 Fixture ships with 60 inches of variable rigid stems (one 12 inch & two 24 inch) in coordinating finish. Dimmable with most LED compatible ELV dimmers. Can be installed on a sloped ceiling up to 45°.